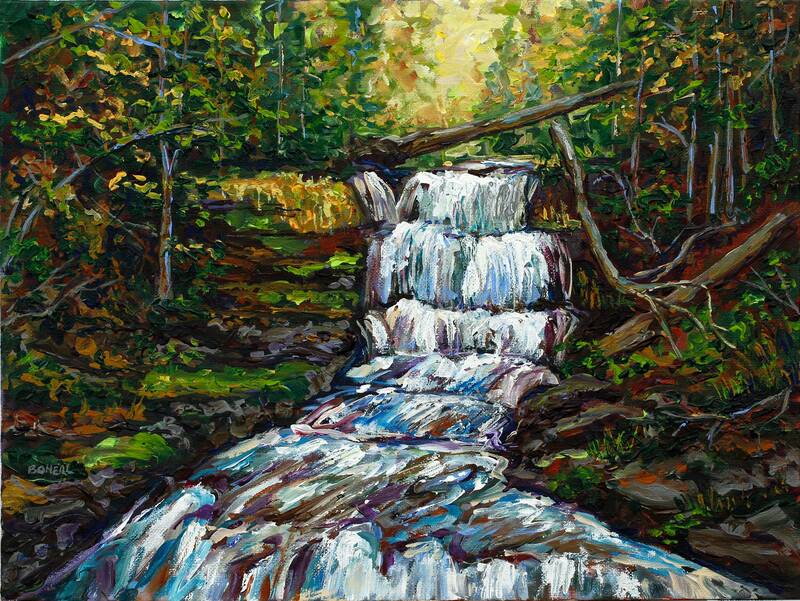 Inspired by many of the sparkling cascades of waterfalls in the Upper Peninsula of Michigan. These magical falls are surrounded by the beautiful textures of virgin pine and hemlock trees. Sunlight always seems to find a way to stream in and highlight the water and rocks! Your choice of a high quality giclee on fine art paper or gallery wrapped canvas. Prints ship for free in the USA.